In addition to being a great platformer and excellent collectible game, Mario Odyssey is also a fashion sim. In the game, just like in real life, every outfit has its fans and critics. What follows includes some very minor spoilers for the ending of the game, so readers beware. Some costumes will elicit unique responses, however. 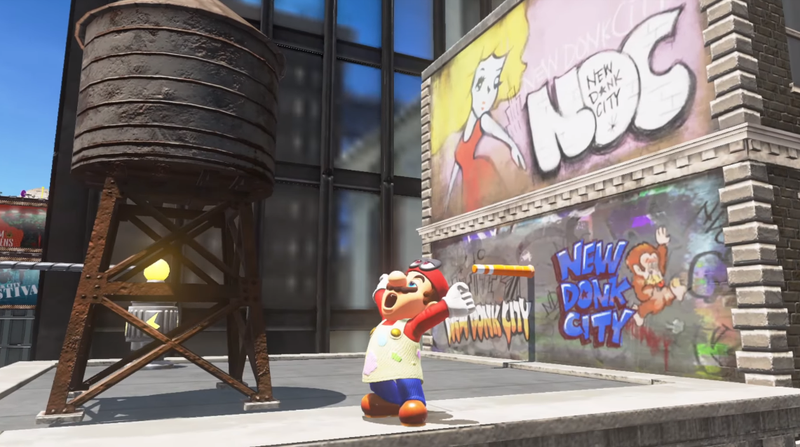 If you’re wearing something that showed up in a previous game, like retro Mario outfits, the safari suit or the chef’s hat, Bowser will talk about how it looks familiar. Unsurprisingly, Bowser’s favorite Mario outfit is the Bowser tuxedo. “Also, I gotta say, great outfit! Very classy!” he exclaims if you stumble upon him while trying to steal his look and pass it off as your own. He also really digs the bridal outfit too though. “Also, you look amazing! Love the outfit!” Even Bowser can’t deny that the plumber really knows how to rock a wedding gown. Who needs your mother-in-law or best friend to say yes to the dress when you’ve got Bowser’s approval. Quiz: Which Mario Odyssey Outfit Are You?